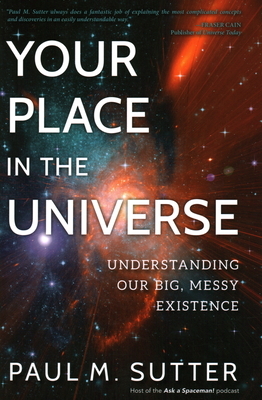 Through metaphors and uncomplicated language, Sutter breathes life into the science of astrophysics, unveiling how particles, forces, and fields interplay to create the greatest of cosmic dramas. Touched with the author's characteristic breezy, conversational style--which has made him a breakout hit on venues such as The Weather Channel, the Science Channel, and his own popular Ask a Spaceman! podcast--he conveys the fun and wonder of delving deeply into the physical processes of the natural universe. He weaves together the past and future histories of our universe with grounded descriptions of essential modern-day physics as well as speculations based on the latest research in cosmology.